Don't forget! All day long today California Pizza Kitchen in Deer Park, IL will be donating 20% of all dine in or carry out orders (beverages, too!) to Young at Heart when you bring this flyer. We'll also be on hand outside of Bath and Body Works at Deer Park Town Center today from 11am - 3pm for the shopping center's Easter fun. 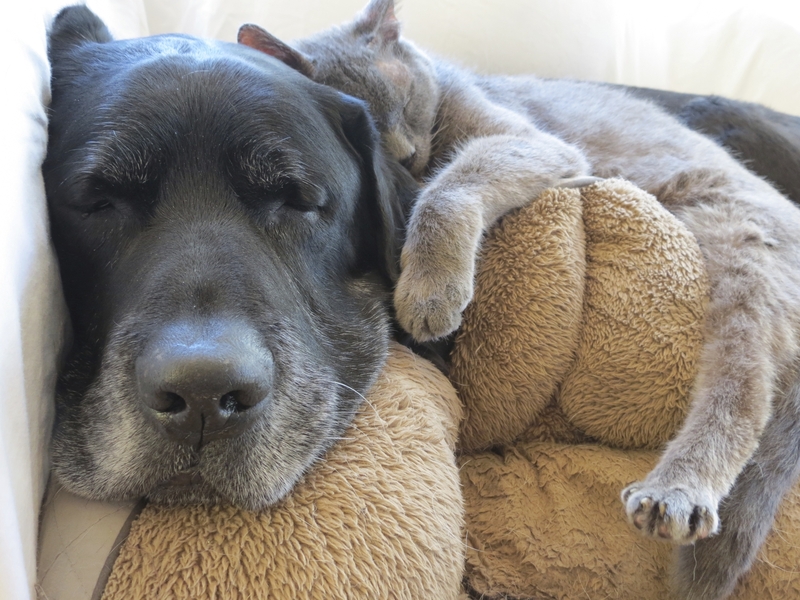 Meet Young at Heart adoptable dogs Coco and Peggy Sue, and "adopt" a plush pet from our #stuffedwithlove fundraiser for a $10 donation to support our shelter for senior pets! Deer Park will also have free photos with the bunny this Saturday, April 8 from 11AM - 3PM, near the gazebo. Hop on over for complimentary face painting and balloon artist, kids crafts, prizes and more! Plus, enter for a chance to win a $250 shopping spree! Free bunny ears and candy filled eggs to the first 300 kids who visit the bunny! Crafts and games sponsored by Bright Horizons and The Little Gym of Barrington and sample delicious snacks from KIND Bars. Deer Park Town Center is dog-friendly! Bring your leashed and friendly canine companion for photos with the bunny! Photos will be available for download from Deer Park Town Center's Facebook page, and personal cameras are welcome. 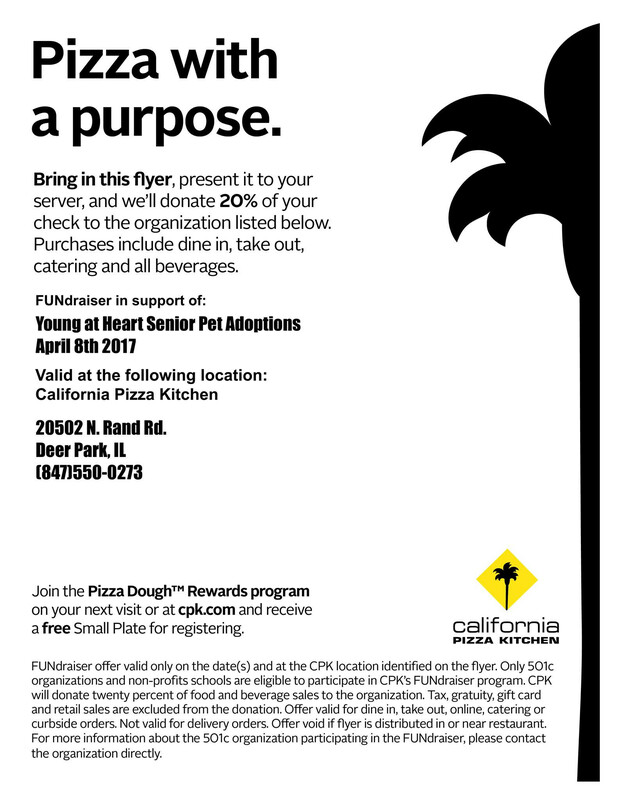 PLEASE SHARE the California Pizza Kitchen flyer with your friends and family in the area and be sure to grab some pizza TODAY at Deer Park Town Center (bring the flyer!)! See you there!